Cards That Never Were is a recurring series in which I create virtual trading cards for players who were missed in various sets over the years. It is a concept I have borrowed from too many other talented folks, but I thank them all. Outfielder Bob Coluccio debuted with the Milwaukee Brewers in 1973. In the middle of the 1975 season, he was traded to the Chicago White Sox. 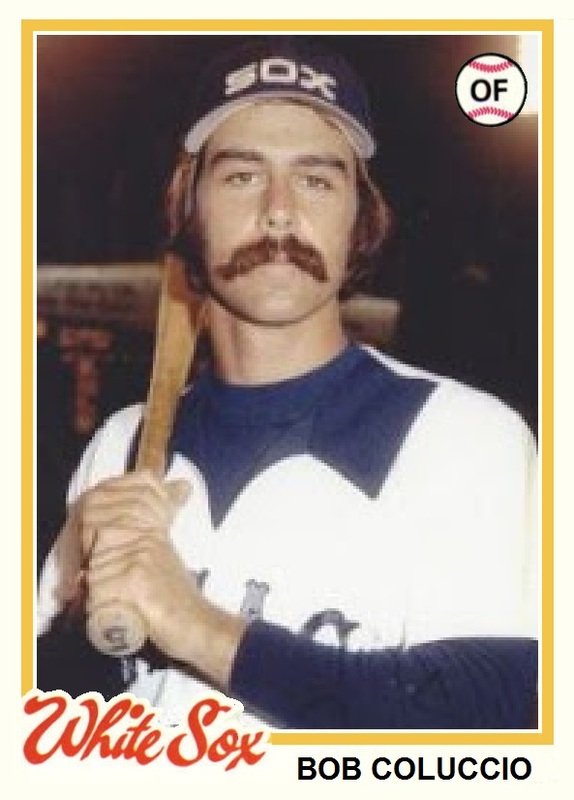 He was in the minors for all of 1976, but saw some action with the Sox in 1977. The Sox released him prior to the 1978 season. The Houston Astros signed him, but he never saw major league action for them. He was traded midseason to the St. Louis Cardinals, where he played the last five games of his career. For his career, which included parts of five seasons, Coluccio had 241 hits, 26 homeruns, 114 rbi's, 141 runs scored and a .220 batting average. Topps saw fit to give a card to Coluccio in their 1974-1976 sets. 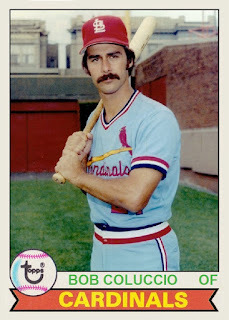 When I found a couple good pictures, I was able to create cards for the 1978 and '79 sets. The '79 card would be a career capper. Thus, Coluccio would have a card for each year he played. That does my heart good. On a side note, his Cardinals hat seems to be riding high on his head. It is almost like it was airbrushed on there, but it wasn't.